By then, I had begun to absorb my husband’s Cuban culture and was growing to love his family’s customs, food, and music, almost as much as I loved my own culture’s country music. When Jorge brought home a CD featuring a country band out of Miami, I was a little surprised, but couldn’t wait to sample it. I immediately loved the hybrid Latin and rockabilly sound but was completely stopped by the title track—track number six, the songwriter’s homage to his aunt, upon her release from imprisonment by the Castro regime for nothing more than simple protest. The raw emotional power of Raul Malo’s music and lyrics in “From Hell to Paradise” fired my desire to truly understand the complicated, visceral pain and loss that Jorge’s family lived with daily, 30 years post-exile. Jorge Brunet-García flies the Cuban flag after Fidel Castro dies. On Saturday as Fidel Castro’s death was widely reported (more than 50 years post-exile), raw emotion again won out. It inspired impassioned family phone calls, took hold of Twitter, and ignited political debate across social media. 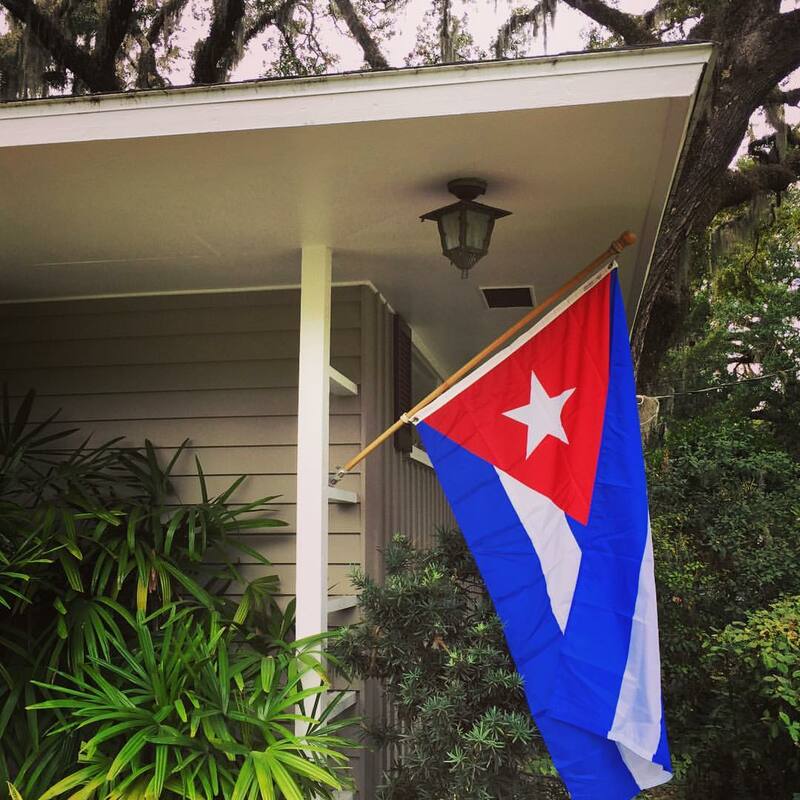 After a somewhat surreal, overwrought day which included Jorge posting the Cuban flag outside our Jacksonville home, that night I ran across “From Hell to Paradise” and reflected on the evolution of my emotional and intellectual education regarding the plight of millions of Cuban exiles flung far and wide. Here’s the Raul Malo song that first awakened me to the complex, heart-wrenching dynamics of the Cuban diaspora, far too real for so many so close to my heart. Offering a testament to the transformative power of music, this one stanza radically and permanently changed my perspective back in 1992.